Check out this feature in Huffington Post US! 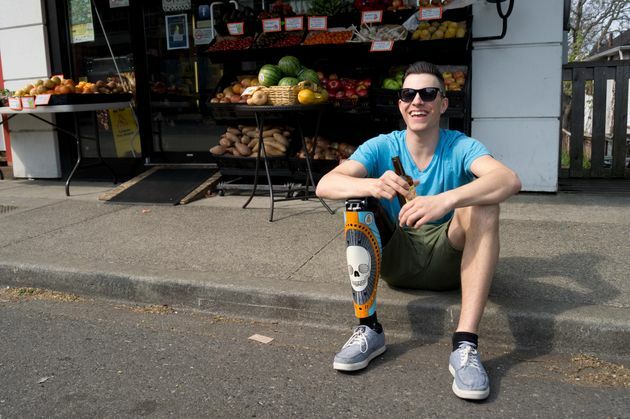 As advances in technology have made prosthetic limbs both more accessible and more appealing to people who wear them, a Canadian company is taking things even further with a line of stylish and downright cool prosthetic leg covers. 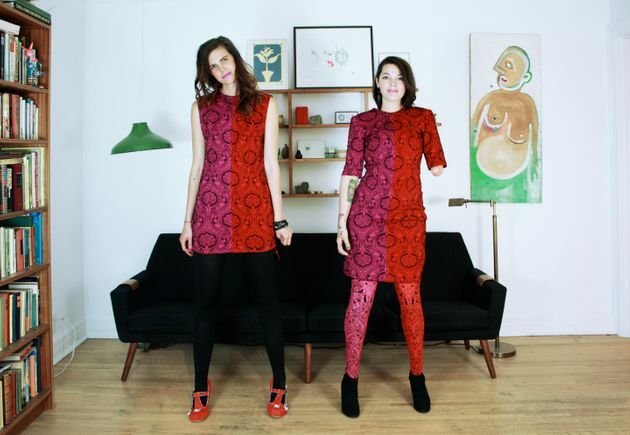 Alleles‘ prosthetic covers are truly pieces of wearable artwork. The covers, made out of plastic with adjustable leather straps, come in a broad range of colors, pattern and designs, from delicate to fierce. The company offers ready-to-wear pieces that retail between around $250-$400 as well as a more expensive option for customers who want to customize their own. The company was founded by artists McCauley Wanner, who serves as art director, and technology director Ryan Palibroda. Each contribute their own designs to the brand. It was a lack of options, they explained to The Huffington Post, that prompted them to start the company. Designing and creating a conversation around prosthetic leg covers is a unique venture, and Wanner and Palibroda said the relationships they’ve formed with customers are strong. One thing their conversations aren’t about, however, is what brought customers to the site in the first place. “We never try to focus on people’s limb-loss or their ‘amputation story.’ We actually don’t know most of their stories. Amputations don’t define people, and to be completely honest, it really has nothing to do with what we are doing. We are simply giving people another product to coordinate with their wardrobe,” Wanner said. Head to Alleles.ca to see more of the brand’s offerings.